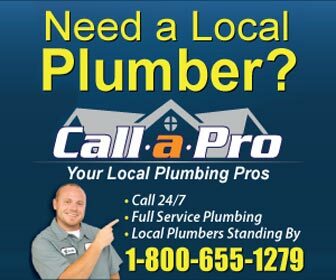 Find plumbers in East Providence, RI for all of your plumbing project and plumbing emergency needs. From water heater repair and drain cleaning in East Providence to emergency sewer repair and water leak detection - find the right, licensed East Providence plumber for the job. East Providence, Rhode Island is, as the name suggests, just east of the city of Providence. It is the fifth largest city in the state of Rhode Island with a population of almost 49,000. The city of East Providence covers an area of just over 16.5 square miles so it is not amongst the largest in area. Route 195 cuts through the city and provides easy access to Providence. Well that is not entirely true. Route 195 leaves East Providence and goes across the Washington Bridge. Many times during the day and especially during rush hours there is a major bottleneck on the bridge that can back up traffic for miles. There is one other bridge up the Providence River that can be used to go directly in the east side of Providence but if you are going downtown or thru Providence you are pretty much stuck with Route 195. There are two notable villages in East Providence, Rumford and Riverside. Rumford was the original population center of the city and until the late 1880's the town hall was located there. Riverside was more of a coastal village and the former home of Crescent Park. Crescent Park was the location of the first steam carousel in the country. All of the horses were hand carved and the park was a New England attraction.